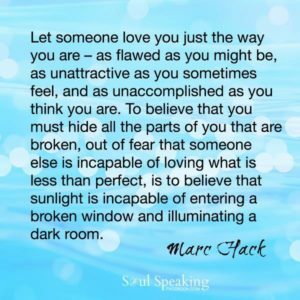 Let someone love you just the way you are – as flawed as you might be, as unattractive as you sometimes feel, and as unaccomplished as you think you are. 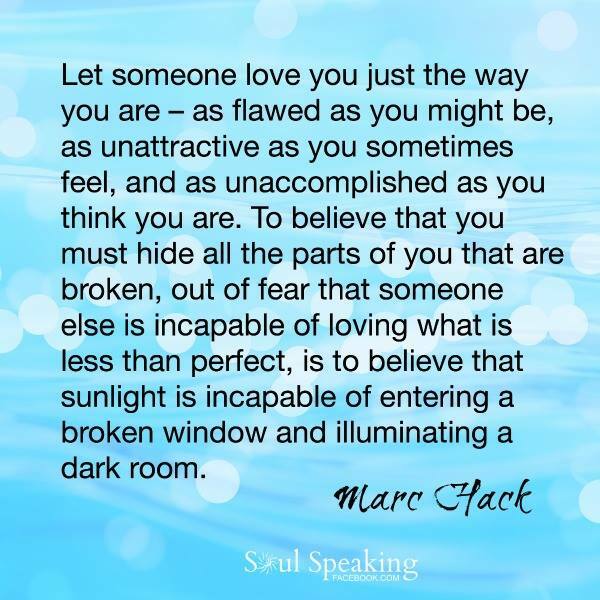 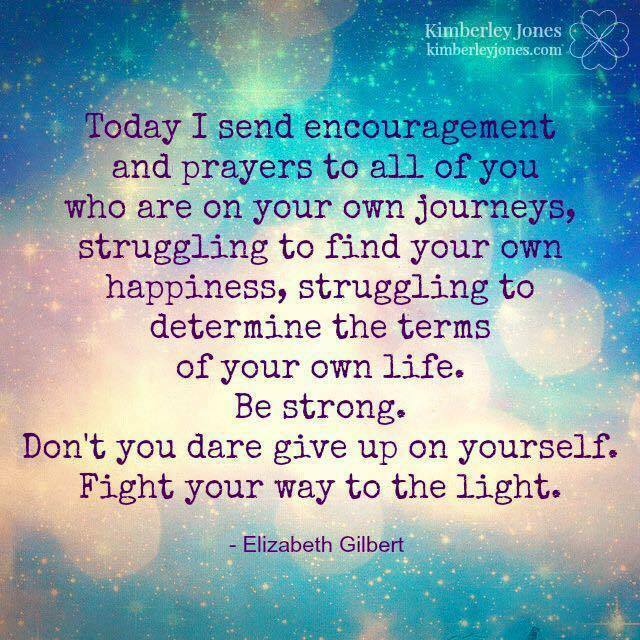 To believe that you must hide all the parts of you that are broken, out of fear that someone else is incapable of loving what is less than perfect, is to believe that sunlight is incapable of entering a broken window and illuminating a dark room…. 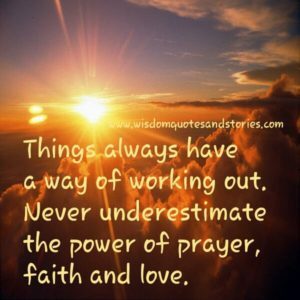 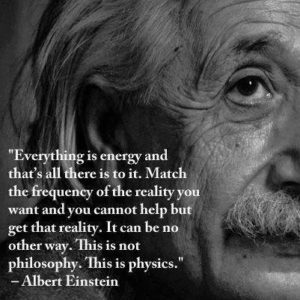 The terms “energy and vibration” are becoming more popular all the time as more people become aware of the frequency of life, and how it effects us from day to day.